The best way to view the Blue Planet is by sitting in your comfortable couch and using Google Earth on your Android or Chrome. 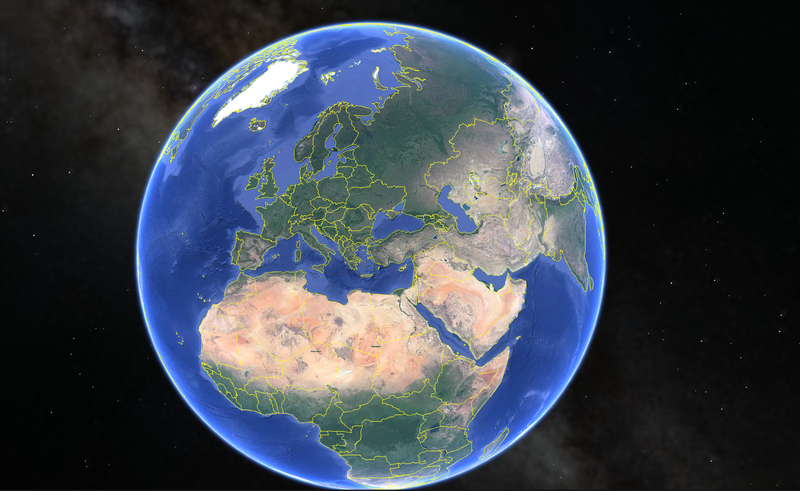 In April 2017, Google Earth underwent a major makeover and it made ‘bigger the better’ look true. However, only Android and Chrome users could enjoy this beautiful app, until only recently. Google has made an announcement of releasing Google Earth version for iOS as well. Earth shattering news, ain’t it for iOS lovers? Well, Google Earth is one of the most talked about apps. It makes one take notice of it especially when there is something huge going on across the city or you have never left the boundaries of your current State within the country. The new version of Google Earth when through a grind for two years before it introduced guided tours, integrated 360-degree videos, information cards as well as Street View imagery in April. Many new things could be enjoyed on an Android and Chrome. Google has again created a buzz by revealing an updated iOS version for iPhone and iPad. It gives the same experience to Apple owners using a new interactive stories feature called the “Voyager”. There are about 140 stories in 8 different languages and 17 cities found under the ‘Travel’ category of the Voyager. It will offer the users the itineraries for the top cities across the globe. The Voyager offers ‘Paris with Kids’ and ‘Beyond the Beaches of Rio de Janerio’ as some of the multi-day itineraries. The Voyager tours are all about exploring the different interesting things across the world. The new version includes the 64-bit processor support along with a design makeover. This new 64-bit support has been released at the nick of time for iOS 11 that will no longer be supporting 32-bit apps. The new Google Earth also provides knowledge cards that gives you that little extra information about the different locations and landmarks. If you wish, click the I’m Feeling Lucky’ button to be drawn into a mesmerizing new location. Pan through the 3D environment of major cities and look at some of the major landmarks. Create digital postcards of a location and share it with your friends. There is much to do and invoke the traveler within you with the new Google Earth for iOS.